When students ask, ‘What's for dinner?’ make their decision easy by giving them options! 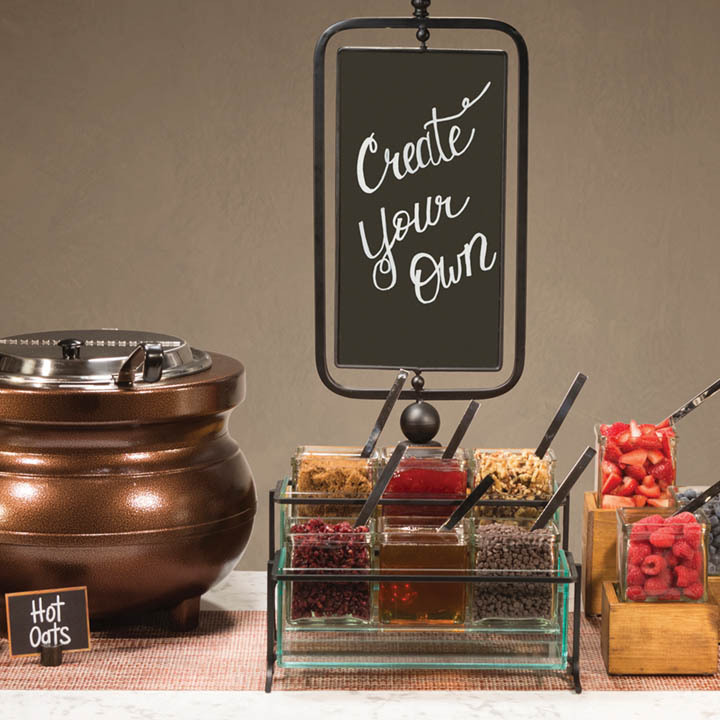 Capture their attention by spicing up food lines! Help them avoid the ‘freshman 15’ by offering a variety of healthy choices that taste as good as they look. 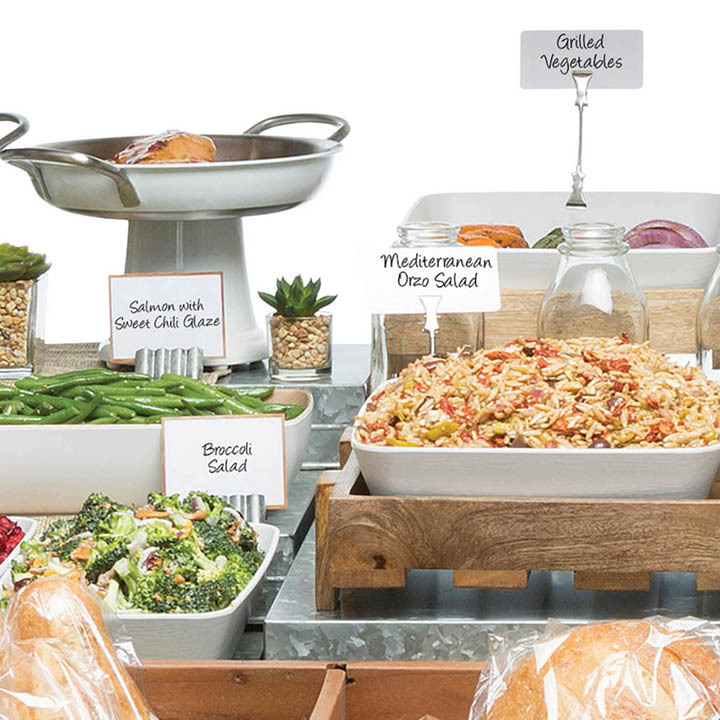 Fresh, made-to-order dinner options are appealing to students because it makes them feel catered to and special. 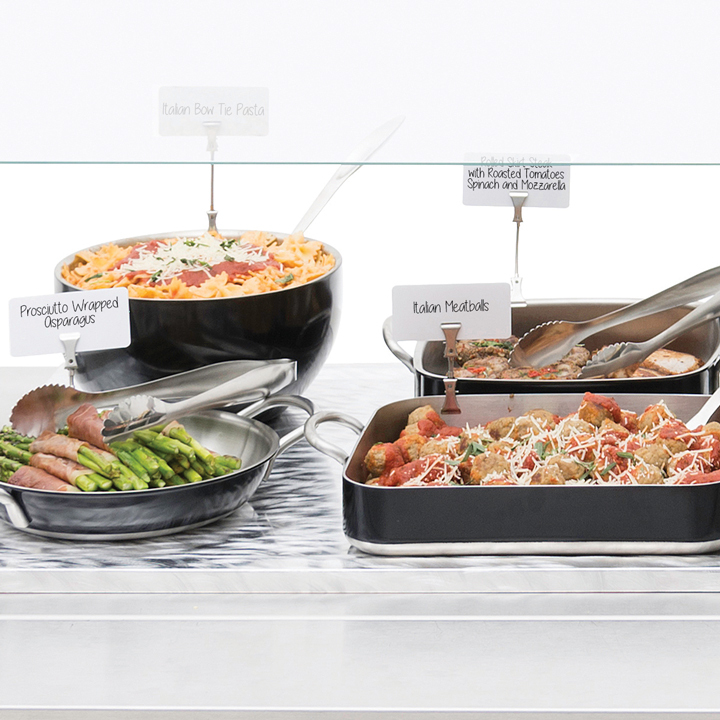 Encourage participation with action stations and create-your-own bars that give students the chance to be part of the cooking process. 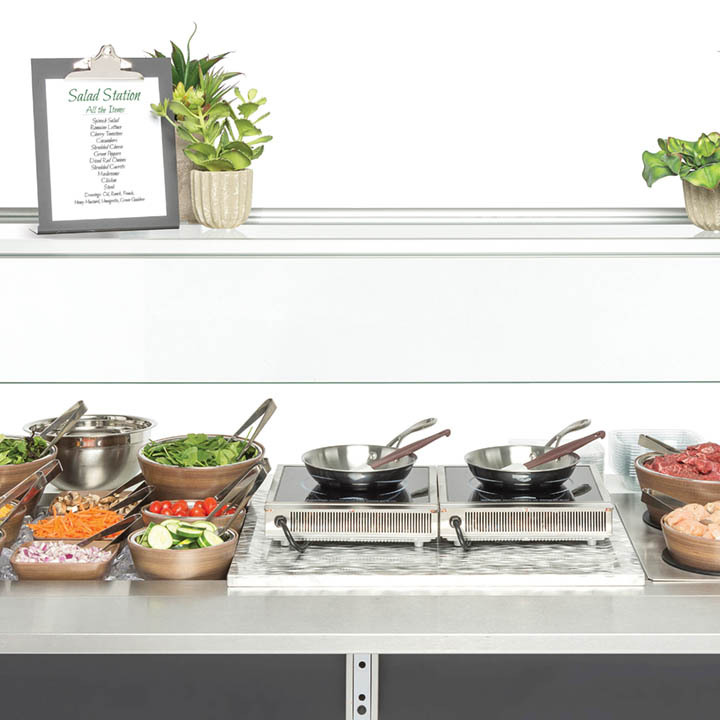 Click below to get ideas for great dining solutions that capture students' attention and appeal to the need for variety. 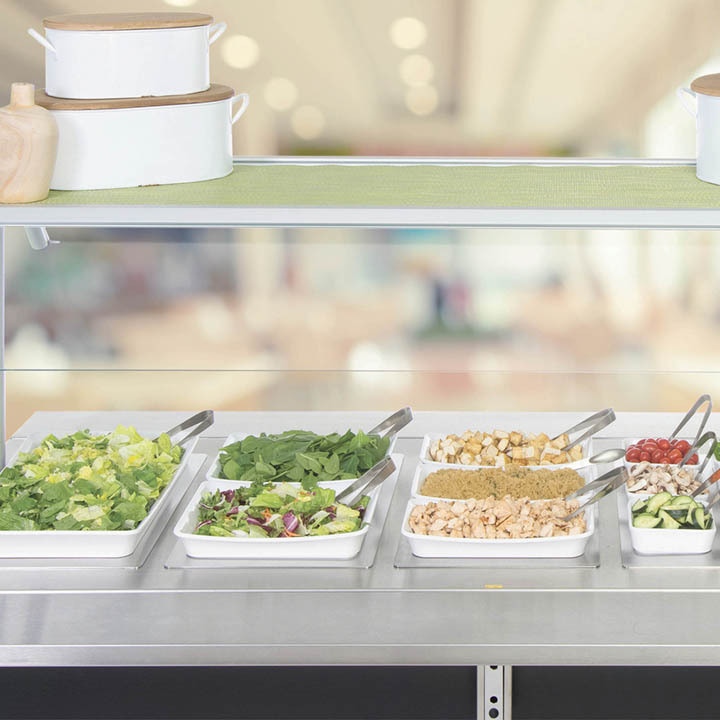 Building eye-catching, flavorful stations can go a long way toward keeping kids on campus for meals, which can ultimately affect your bottom line. Busy schedules and outside activities can make it difficult for students to catch a square meal. 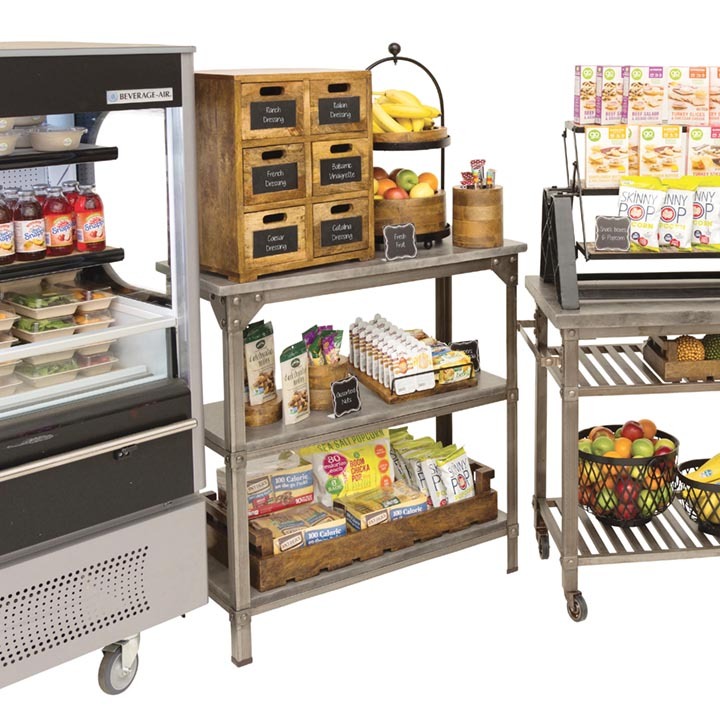 Grab and go stands filled with attractively packaged foods encourage the student on the run to make a quick selection before heading on their way.